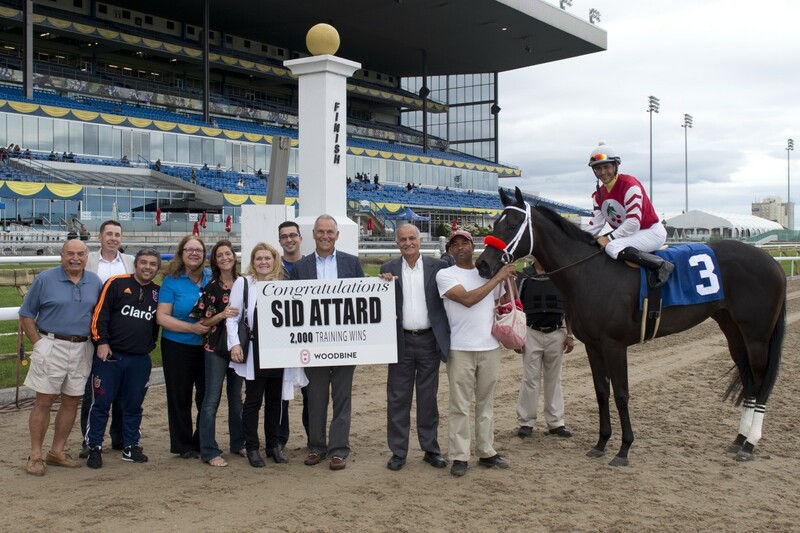 TORONTO, July 22, 2018 – Hall of Fame horseman Sid Attard celebrated a significant milestone on Sunday at Woodbine Racetrack as he earned his 2,000th career training win. The 67-year-old Brampton, Ont. resident reached the milestone mark with a victory in the afternoon’s ninth race courtesy of Martin Cherry’s maiden-breaking three-year-old filly Lady With Class ($5.50), who sprinted through along the rail and won by four lengths in 1:11.26 over six furlongs with Ademar Santos aboard. Born in Malta, Attard followed the lead of his brothers, Joe and Tino, to pursue a career in horse racing when he moved to Canada and took out his trainer’s licence in 1977 at the age of 26.